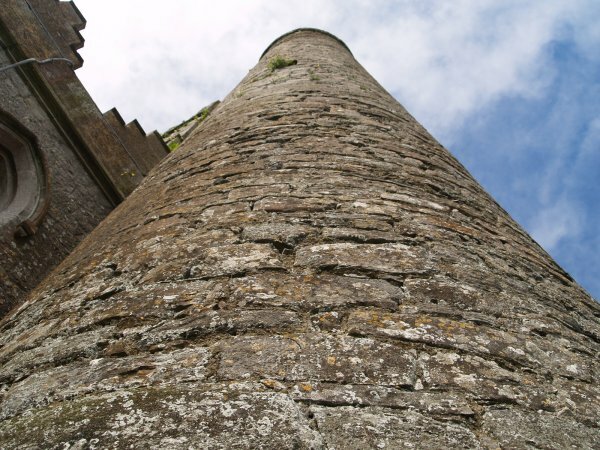 This striking piece of early Irish architecture is well worth taking a closer look of as you pass by, often glimpsed en-route to somewhere else like Skerries! 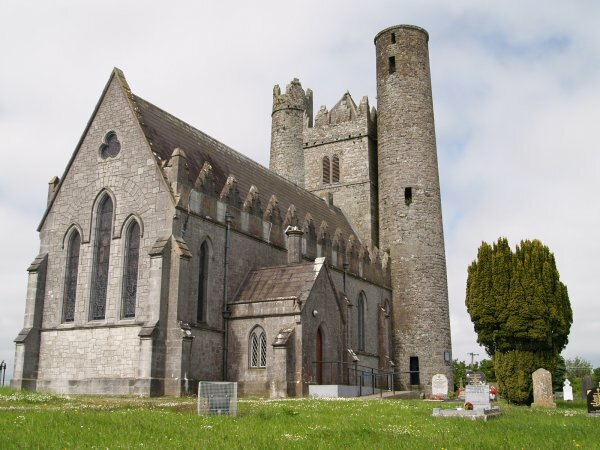 Lusk Church: A monastery was founded here by St. Mac Cuillinn at the end of the 5th century. 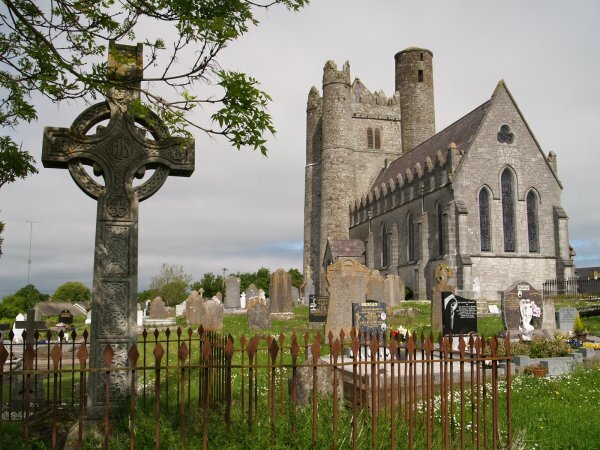 The Vikings plundered it in 827 and 856 and by the Irish themselves in 1053, 1089 and 1133 when people sheltering in the church died despite taking a place of traditional refuge. 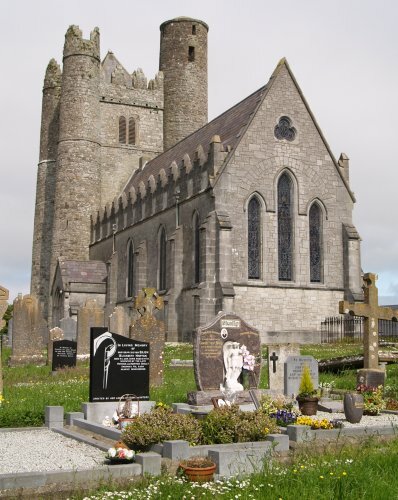 Lusk Church: The square bell tower was built in the 15th and 16th centuries and contains the tombs of James Birmingham (1637) and of the Barnewalls (1589). 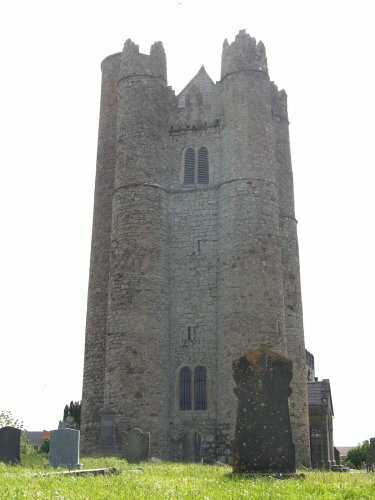 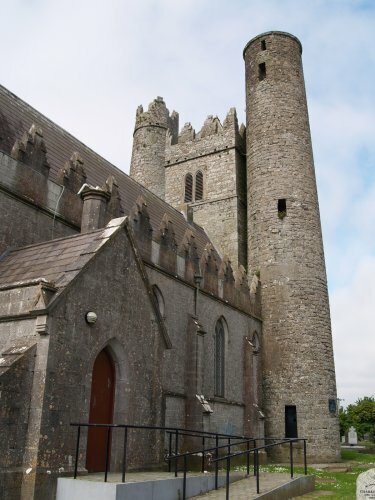 Lusk Church: The round tower incorporated in the belfry is the only remnant of the original monastic church.